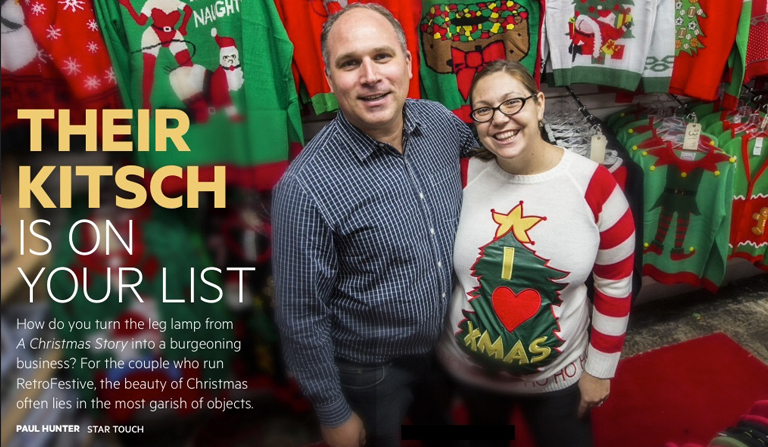 An Oakville, ON, couple hope their holiday movie memorabilia will be on the top of the Dragons' wish lists this year. The couple's fondness for the 1983 movie A Christmas Story was the impetus for what became a year-round Christmas business. Ma, We Made the Paper!